I’ve been in love with my Soap and Glory Peaches and Clean cleansing milk since I first purchased it a few months back. Sadly though, I was almost at the end of the bottle one Saturday night so, since I wasn’t going to be hitting up Boots for another week or so, I decided to go and have a look at FeelUnique. I decided to head straight to the Caudalie page because I’ve been wanting to try their foaming cleanser for ages and realised that they sold a cleansing milk! I’ve been using this cleanser for about a week and a half now and I don’t really think it does as much as I hoped for. I’ve been using it morning and night just to see what it does and it’s so gentle that I think it would only be helpful if you had spent an entire day without makeup on and hadn’t really gone anywhere. I haven’t seen any exciting changes in my skin at all (good or bad) so I can’t help but wish I’d gone for another one instead. Since I very scarcely spend an entire day in the house totally makeup-less, this is now a bit pointless. 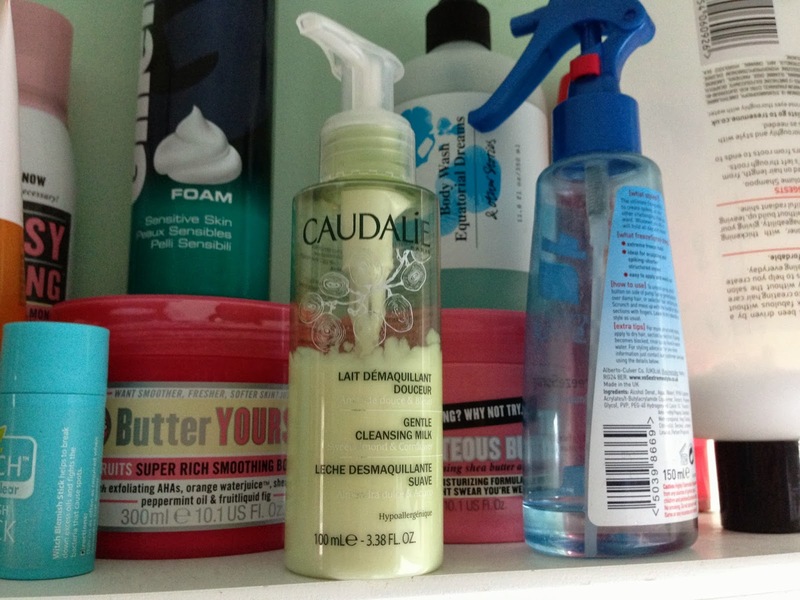 Caudalie Gentle Cleansing Milk is available in different sizes, here.